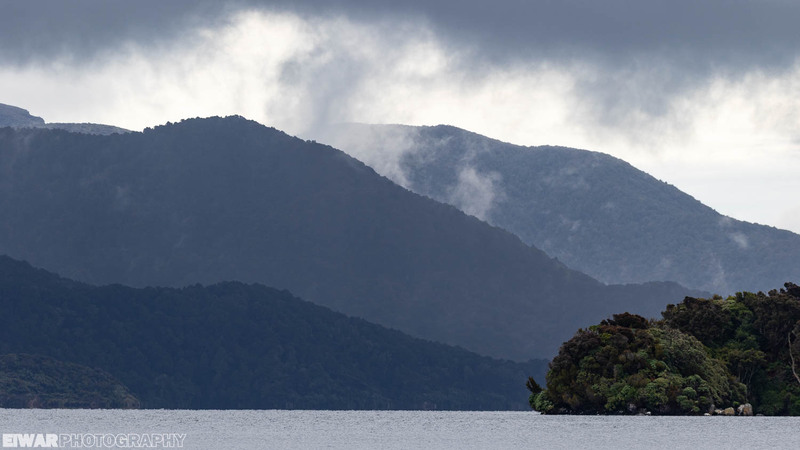 Ulva Island is a reserve out of Stewart Island, just a ten-minute boat ride from Golden Bay. 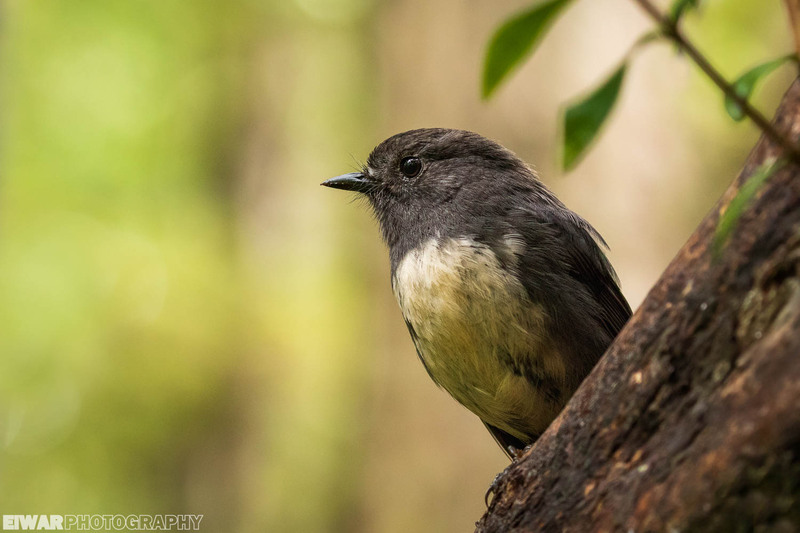 In many ways, it’s similar to Tiritiri Matangi, near Auckland, for it’s a predator-free island where endemic and endangered birds have been introduced and protected. 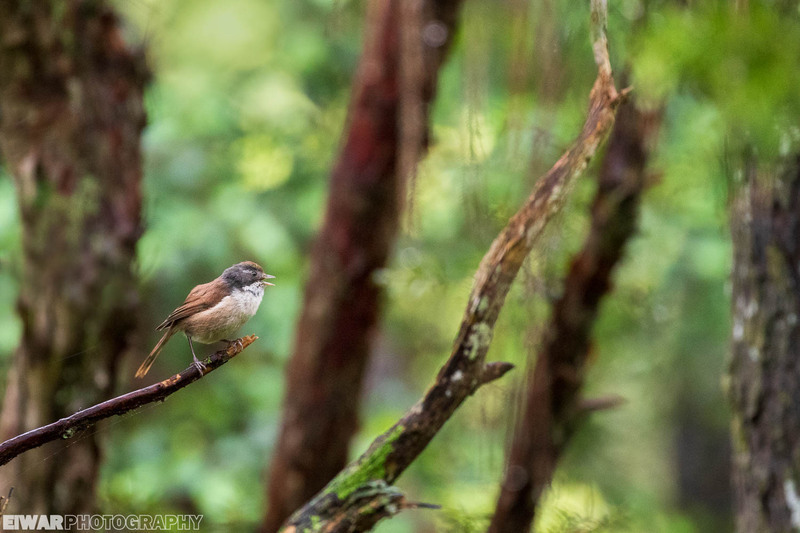 The forest is dense, and often we’d hear birds without seeing them. 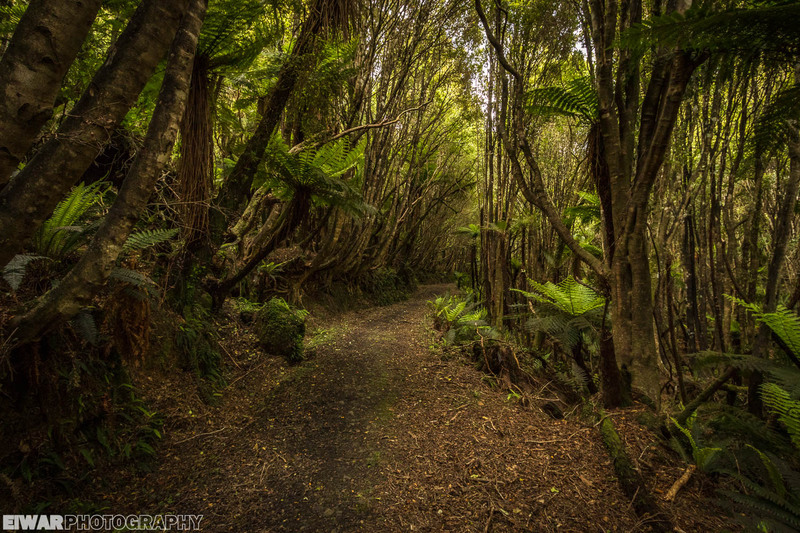 In these conditions, photography proved tricky, but save for a kiwi in daylight (it happens! ), I saw all the birds I was looking for. 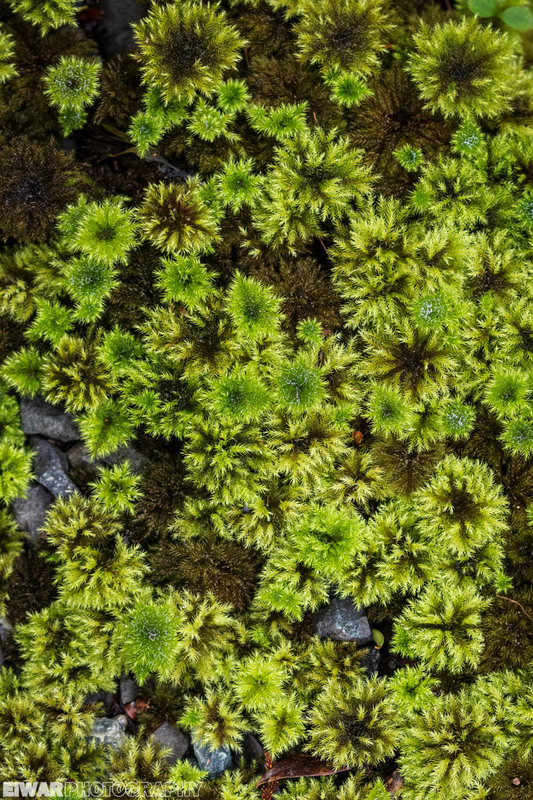 I made two visits to Ulva on two consecutive days, both cloudy and partly rainy. After the first day, there was only one bird I had missed: the Yellow-crowned parakeet (Cyanoramphus auriceps). 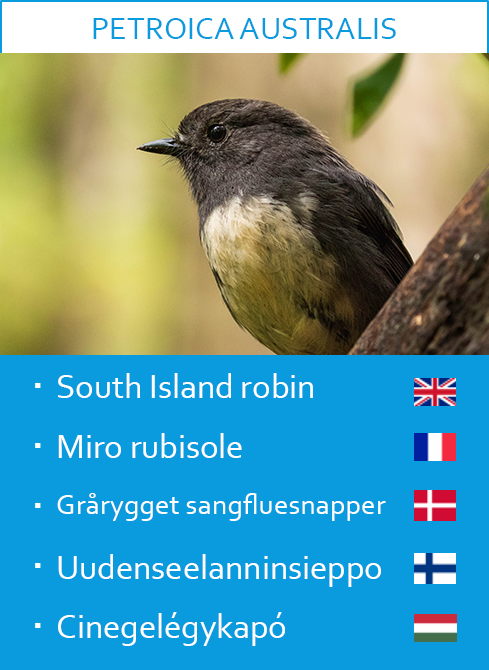 I had got acquainted with the South Island saddleback (Philesturnus carunculatus, as elusive as its North Island counterpart), the South Island robin (Petroica australis, as familiar as its North Island counterpart) and the Yellowhead (Mohua ochrocephala, much more difficult to see than the Whitehead (Mohua albicilla) that can be seen on the North Island). Now, like I mentioned, I didn’t manage too many satisfying pictures there. The birds hid too far away, or behind branches, or simply moved around too fast for me to catch them. Even the New Zealand kaka (Nestor meridionalis), so proud to show off in Zealandia, refused to strike a pose. 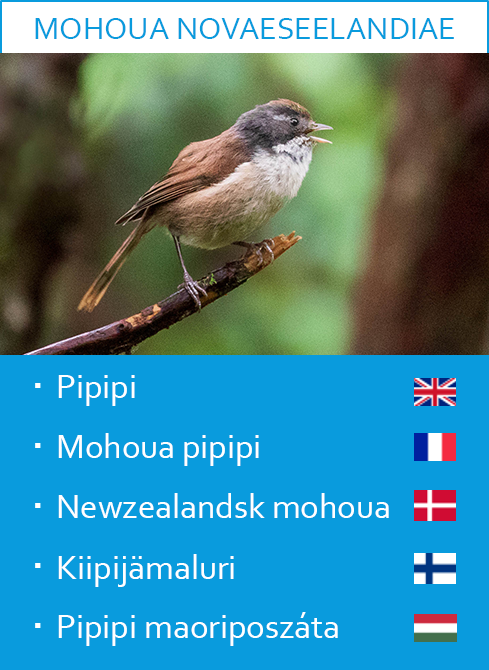 Fortunately, the robins didn’t disappoint, and the Pipipi (Mohoua novaeseelandiae) showed quite well, with one individual singing in the dark forest. 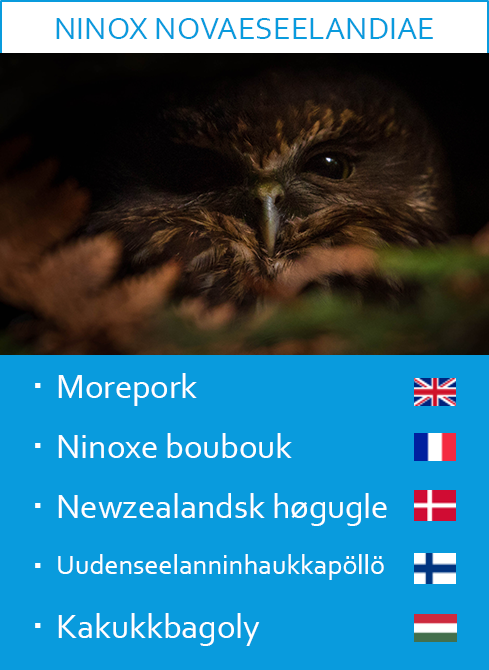 I talked with two other visitors, and they mentioned a Morepork (Ninox novaeseelandiae) sitting in a bending tree close to the path. I looked carefully, but never located it. On the beach, a ranger and I had to cut through the forest to avoid a sea lion that was a bit too curious. Back to safety in the bush, she asked if I had seen the owl. No! So she took me to the tree, and from the path, I could admire the nocturnal predator. The day after, I returned with Amy and Emilie, the two birders from Scotland I had met at the hostel. 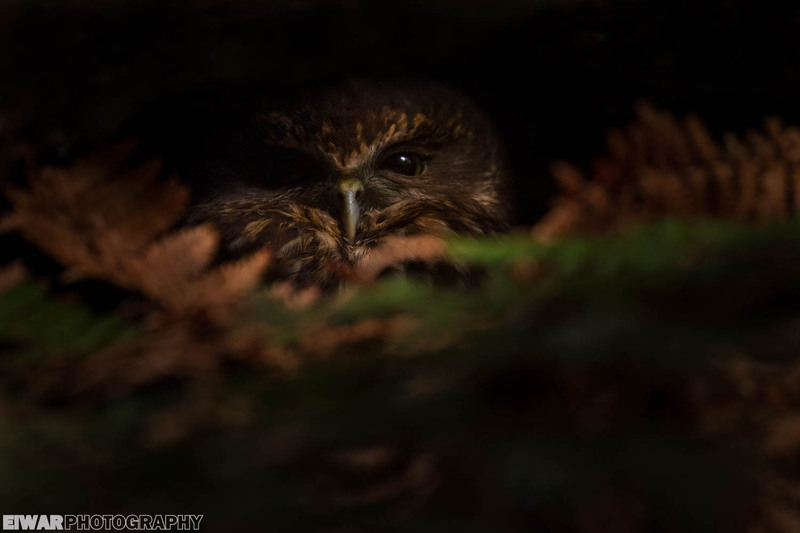 I persuaded them to “hire” me as a guide by promising to show them the Morepork, so I was happy to see it in the same tree again. We wandered on the paths, but again, bird activity was disappointing. 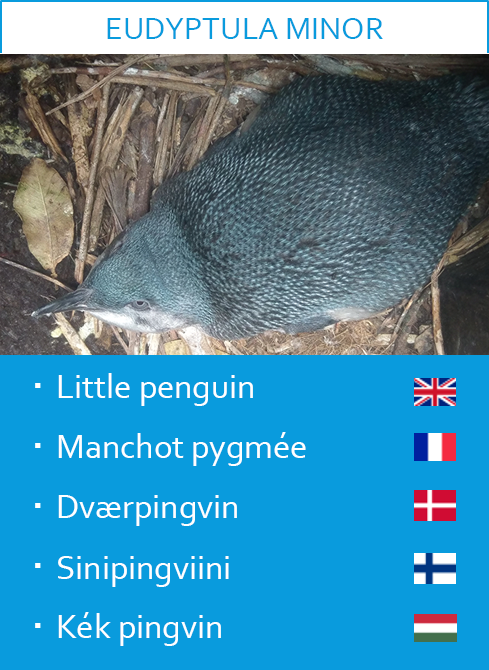 We managed to connect we some saddlebacks, to my companions’ delight, but the true boon was the Little penguin (Eudyptula minor) fishing just by the beach. The water was so clear, we could follow its every move when it dived! They notoriously spend the day at sea, but no one said they couldn’t spend it near the shore, right? That’s still the sea. 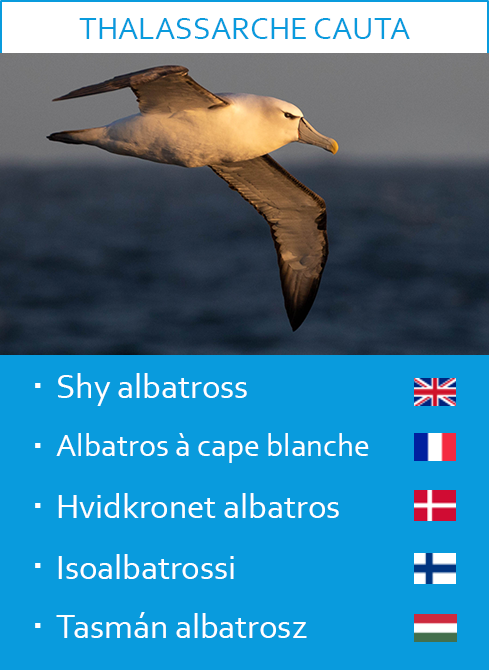 Actually, I’ve just learnt that they always remain within 20 kilometers of the coast. 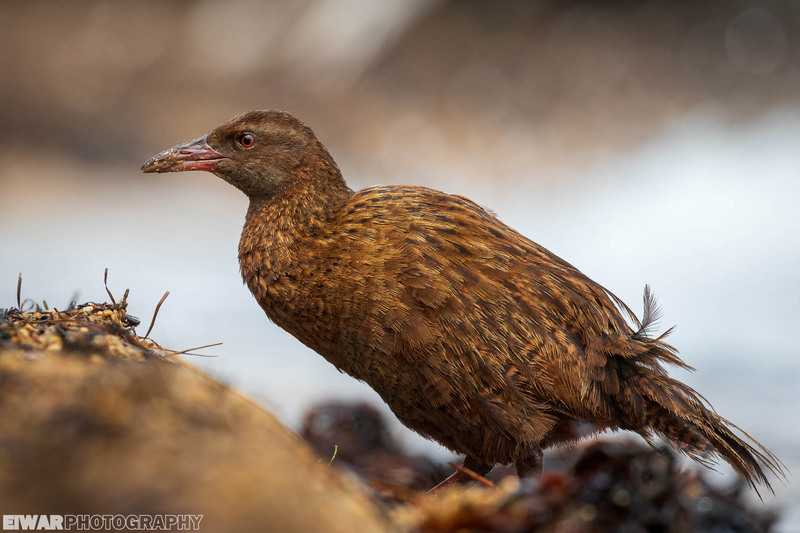 I left the girls to their contemplation and focused on a Weka (Gallirallus australis) that foraged on the beach. 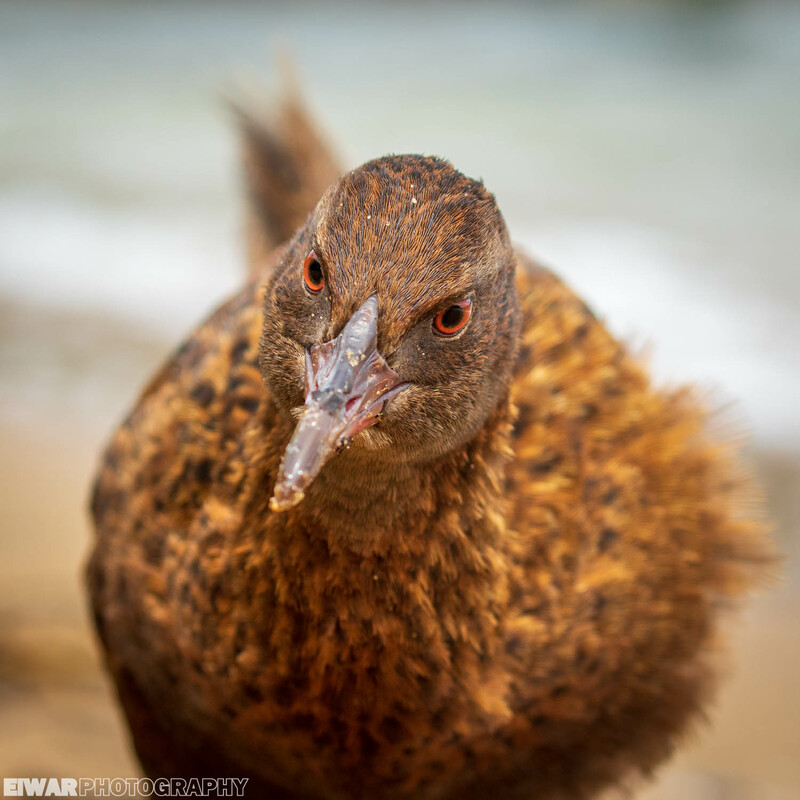 This flightless rail is an opportunistic and fearless bird, and as such, it poses a singular problem for conservation. 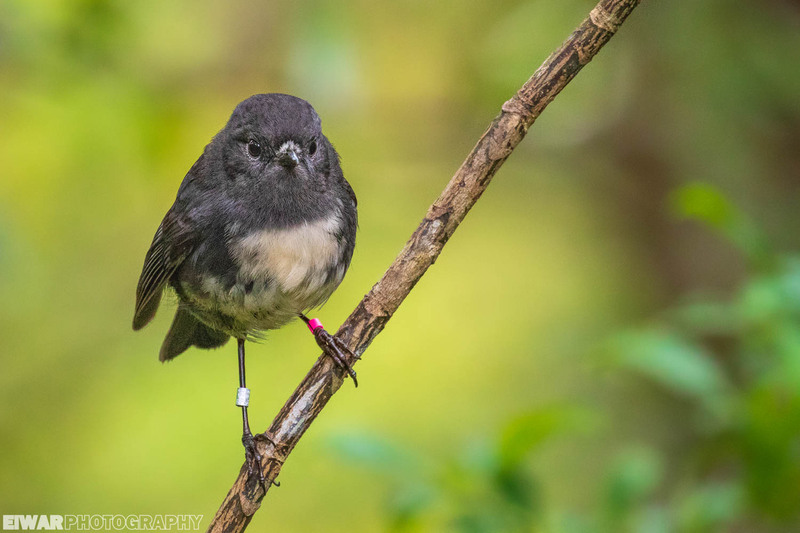 On the one hand, it’s an endemic bird that evolved without knowing land predators, so it’s vulnerable to introduced pests. 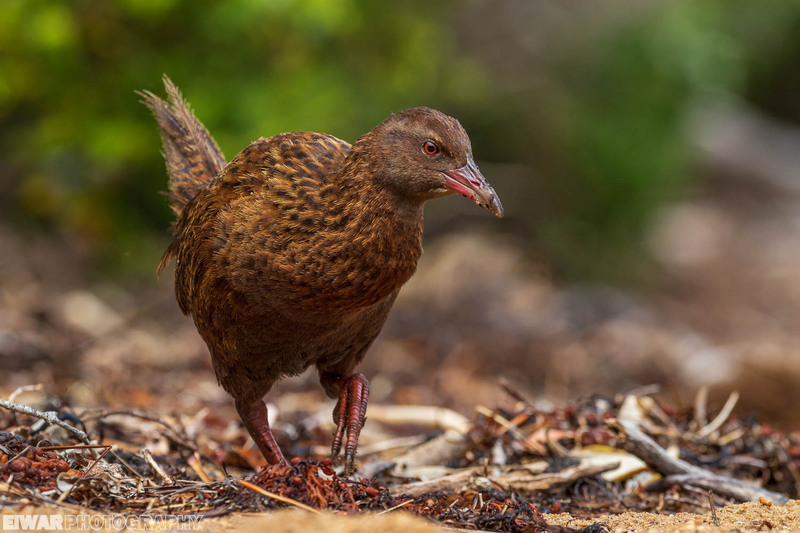 On the other hand, it won’t pass on an easy lunch if it finds the nest of another endemic species, so you can’t just introduce Weka to any sanctuary and hope all goes for the best, for other birds might suffer badly. On Ulva, it seems like things go well. 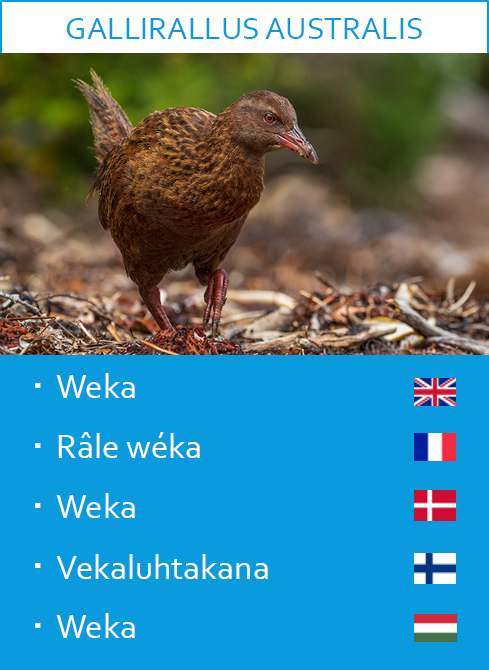 Weka have a curious attitude: while most birds show some curiosity or wariness towards human, they simply don’t. They ignore us, and go about their business. While I enjoy this tolerant proximity, that doesn’t make my work as a photographer very easy. I want to see that bird’s eye, I want to establish eye-contact… but if the animal doesn’t look at me, how do I do that? Well, fortunately it sometimes walked towards me, offering fleeting opportunities before walking past. Later, Amy spotted a Yellow-crowned parakeet in the canopy, a lone bird that brought us much satisfaction. 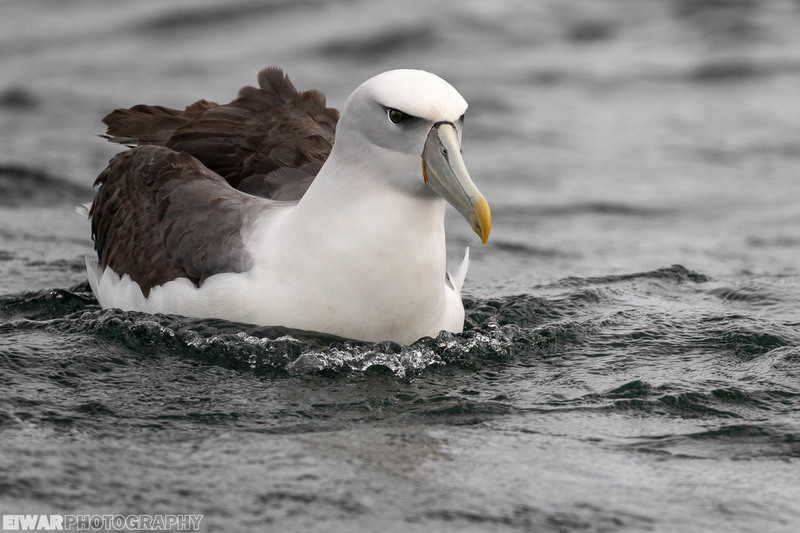 On the crossing back to Stewart Island, our boat driver stopped so that we could see Shy albatrosses (Thalassarche cauta) up close. They had entered Paterson Inlet following fishing boats, and thought we had something for them, so they landed at the stern, offering us unparalleled views. 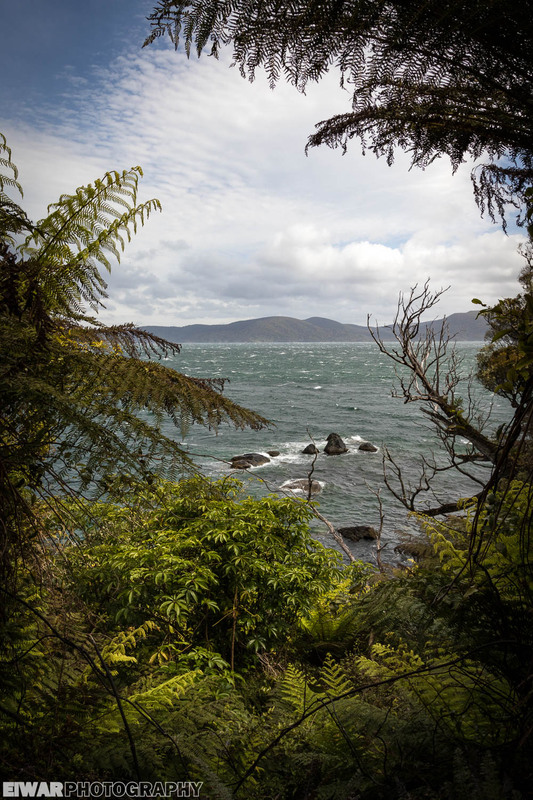 Stewart Island is known for its hiking tracks, including one of New Zealand’s Great Walks. I didn’t feel like doing something so ambitious, so I spent the rest of my time there relaxing or taking shorter walks around Oban. 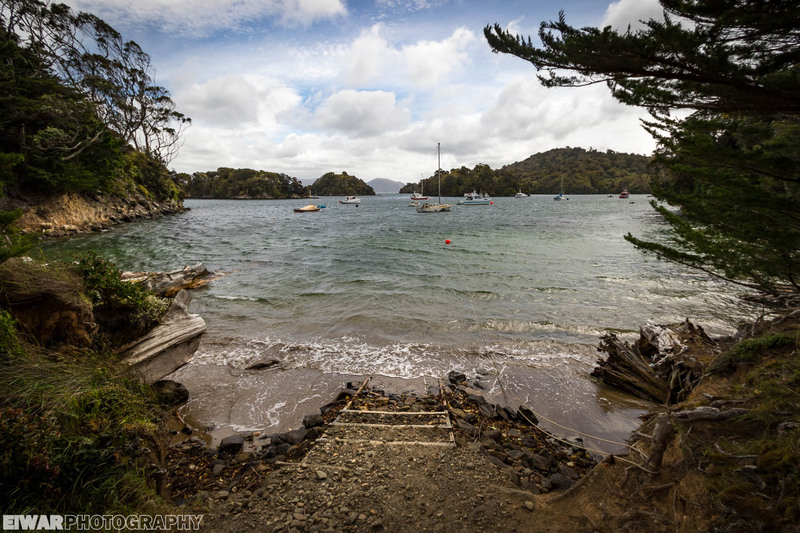 The scenery was pretty, and after my Subantarctic adventure, it was good to take things slowly. On the last morning, as I waited for the ferry, penguins and shags put up a show in the harbour, “flying underwater” just by the wharf in a mesmerizing ballet. The perfect farewell gift? 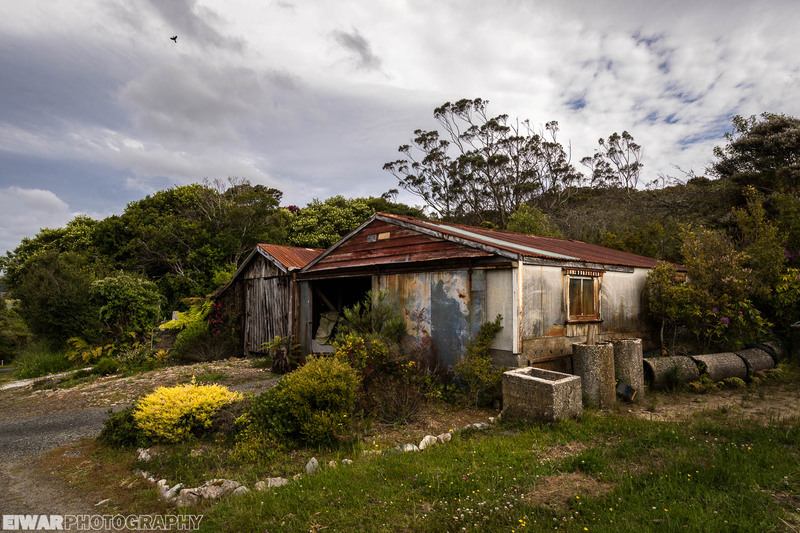 This entry was tagged New-Zealand, Stewart Island, Ulva Island. Bookmark the permalink. Je n’ai pas regardé la date de parution mais, une nouvelle fois de plus, ton article permet de voyager et découvrir de merveilleux oiseaux. Tes photos sont toujours aussi belles, bravo !